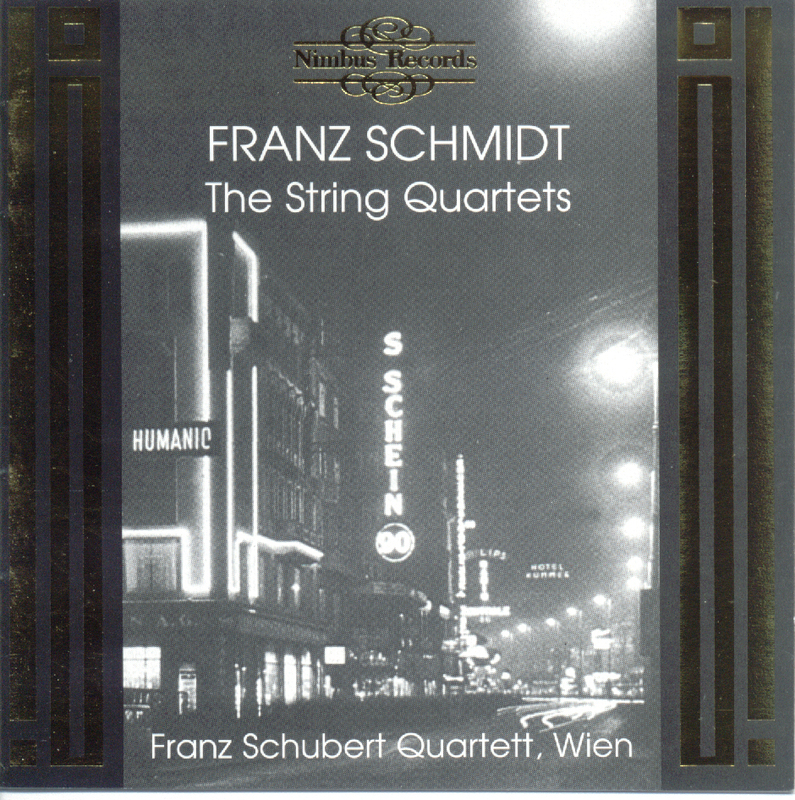 Unless you are a devotee of Franz Schmidt, you are going to need patience to get anything from this recording. But patience will be rewarded, as there is a great deal of beautiful music here. It is just that the pace of the various musical arguments tends towards the geological. Schmidtt was briefly a pupil of Bruckner, and his conception of musical scale owes much to that great predecessor. These quartets also show a fidelity to early musical forms, especially those of baroque counterpoint, which may also call Bruckner to mind. Of course, this is music of a later age, the two quartets were written in 1925 and 1929 respectively, so any 19th century precedents (Brahms is another) are going to be remote. Reger is often cited as a kindred spirit, but this music is much less congested than Reger’s, less angsty. Elgar’s contemporaneous late chamber music would be a better comparison, or Delius perhaps. Schmidt remained a melodist to the end. And why not? Melody is probably his greatest strength. Both of these works, and the first in particular, unfold though long, arching melodies. A motivic structure is sometimes apparent, the falling fifth throughout the first movement of the 1st Quartet, for example, but development never means fragmentation. Movements tend to venture into remote tonalities as they progress, but the long, linear melodies remain. Unswerving loyalty to formal archetypes is both a strength and a weakness in this music. Both works are long, and the material justifies the duration, but only just. The long melodic lines need space to breathe, of course, but there is a sense of formal functionality about virtually every section. In general, the formal skeleton of the 1st Quartet is more apparent than that of the 2nd, where intentions and directions are slightly more veiled. But extended sectional repeats are the rule rather than the exception. In the 2nd movement of the 1st Quartet, for example, the music moves from a Schubertesque opening to neo-baroque contrapuntal second subject. Both are very elegant, and the stylistic contrast is fascinating, but it is easy to find yourself thinking too hard about these things as the two sections are given lengthy repeats without any added interest. The one structural commitment that Schmidt takes refreshingly lightly is closure. Endings are never abrupt, but none are drawn our either. The 3rd and 4th movements of the 2nd Quartet both end in satisfyingly efficient ways. 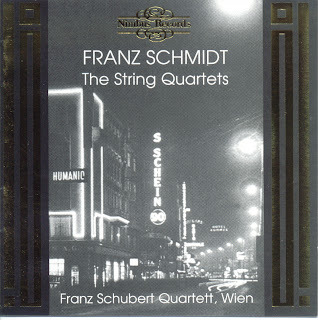 The scherzo ending is particularly impressive, the music rapidly drying up and concluding with an ascent through the harmonics on a violin string.